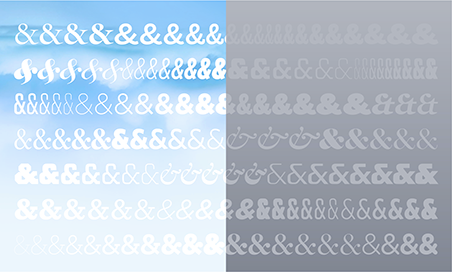 Typographic Gifts for Designers, Part 15 | News, Notes & Observations | Hoefler & Co. 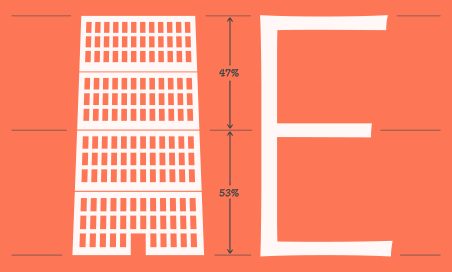 If you’re an editorial designer, chances are that you’re familiar with the Society for News Design through its workshops, its excellent international conferences, and of course its annual. What you might not know is that SND operates the non-profit SND Foundation, which provides college scholarships, research grants, and travel stipends to help students attend its events. Did I mention the college scholarships for designers? 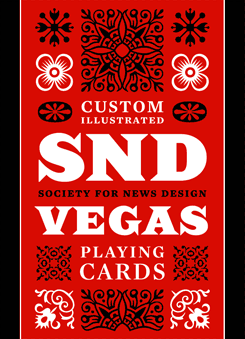 For last year’s conference in Las Vegas, SND Foundation President Bill Gaspard orchestrated a terrific keepsake: a deck of Custom Illustrated Playing Cards, for which 54 illustrators volunteered their time and talent, contributing one card each. Guessing correctly that H&Co has a thing for the typography of playing cards, I was invited to design the packaging, affording me a chance to two of our best wedge-seriffed typefaces, Saracen and Mercury. And naturally Gaspard and fellow designer Tyson Evans used our Deuce font on the cards themselves.